Ahh! 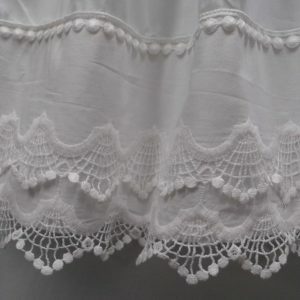 Seersucker and lace is a beautiful combination! I personally LOVE seersucker! Brynn is no exception. Brynn is made from a brite, optical white tiny seersucker stripe. Delicate and flowy just in time for a summer event. 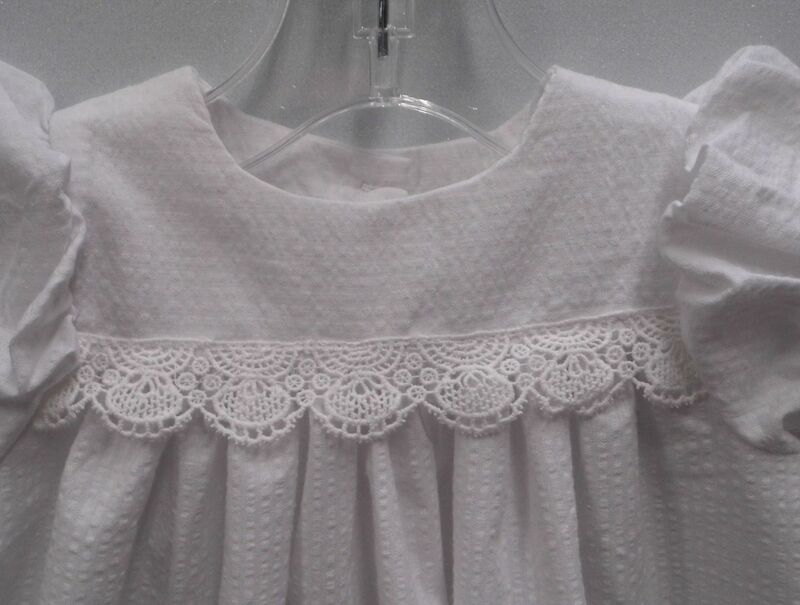 Any little one would look darling is this perfect for any occasion gown! 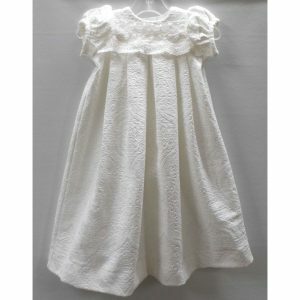 Along with the sweet seersucker the gown features a row of scalloped cotton lace across the high yolk, short puffed sleeves and two swirl buttons in the back. 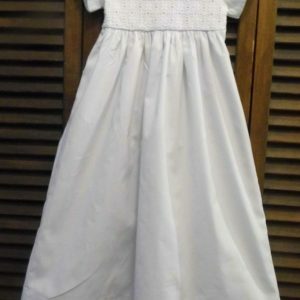 A skirt lining or slip is suggested for this gown. NOTE: My sizes are very true to age! 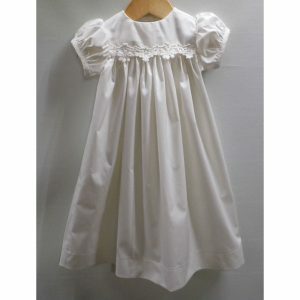 Please order the size coordinating with the age you little one will be at their event. For a best fit also send a chest measurement (under arms all the way around) weight and age when ordering. If your little one is walking please send me a middle of shoulder to ankle measurement.